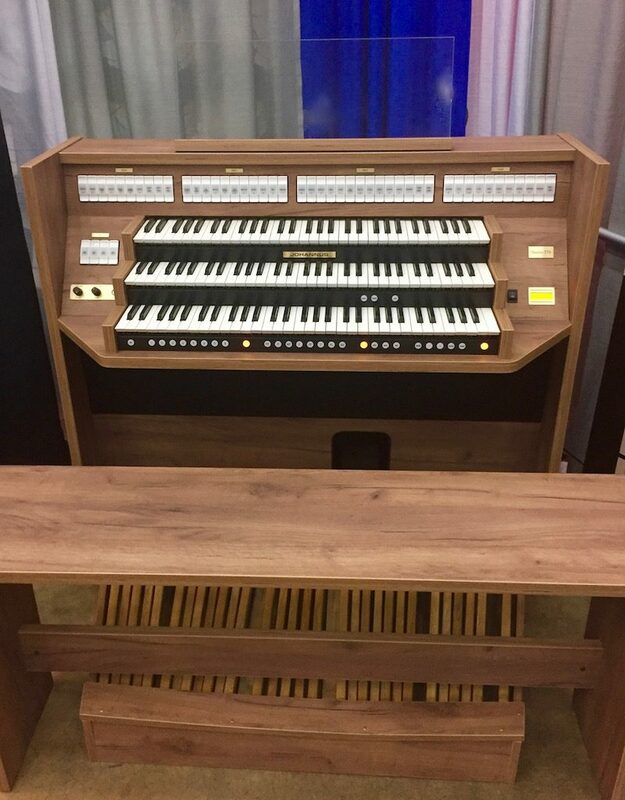 The RODGERS 955 is a comprehensive 3 manual organ of 59 speaking stops and 21 couplers. Leading edge MIDI capabilities equip the musician with tools for performance of traditional music as well as contemporary selections. 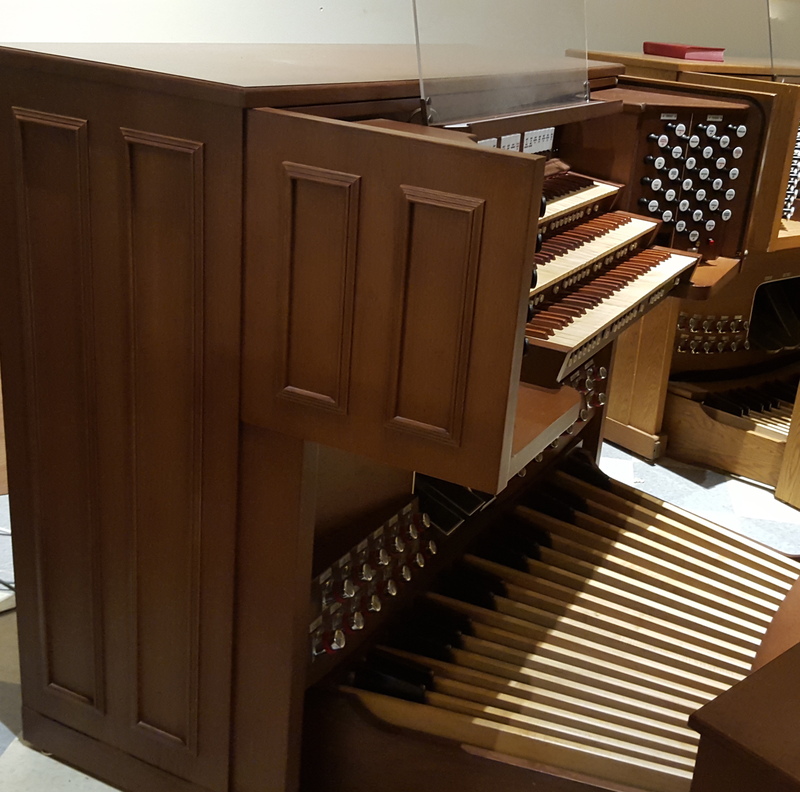 PDI technology is used to go beyond the artificial sameness of digital sampling to create the precise realism of a true pipe organ. The authentic voices can be individually tuned, leveled and voiced on an effective note-by-note basis, just as if they were actual pipe ranks. Wind-blown ranks may also be added. The lighted drawknob console is constructed of walnut or oak hardwood and veneers and is designed to AGO specifications. More Details and photo’s coming soon. 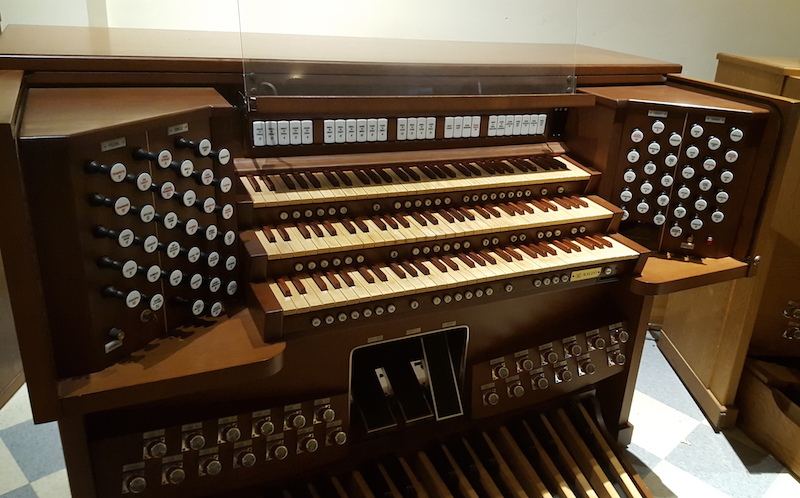 This organ can utilize up to 20 channels of audio. Delivery & Installation included in our local market area. Call for pricing on out of area delivery and installation.